In 1489 – after Henry VII appointed Henry Wyatt Esquire of the Body, King’s Select Bodyguard – our ancestor sold his home in Solhange and purchased Allington Castle, just north of Maidstone in Kent. The castle was badly damaged by a fire in the late 16th century. In 1951 it became home to a convent of the Order of the Carmelites. 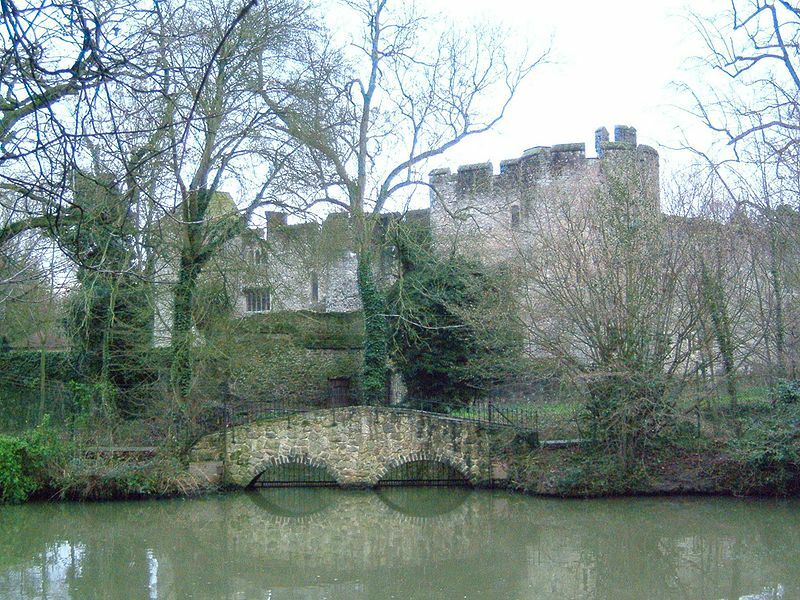 In 1965 Allington Castle played the role of “Castle De’ath” in The Avengers TV series, which premiered in London on October 28, 1965 and in the U.S. on May 2, 1966. I believe Netflix may have full episodes, so I’m going to check that out as well. According to Wikipedia, Allington is currently a private residence owned and occupied by Lord and Lady Worcester; so I think Netflix is as close as we’re going to get. I know some of you have actually BEEN there, so if you know something I don’t, please share!